After working for one year at another chiropractic office, Dr. Ian Adrian decided to join his wife in practice at Adrian Chiropractic. 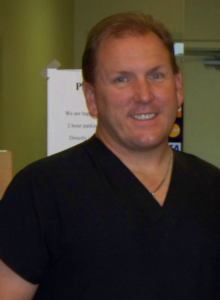 Dr. Ian Adrian began working at Adrian Chiropractic in November 1995. He coaches and plays Soccer, Lacrosse, and Softball. 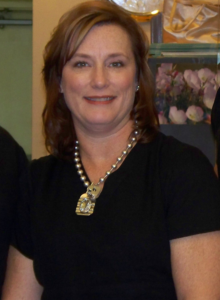 Dr. Adrian takes pride in helping the community of Mesquite and surrounding cities. Dr. Ian Adrian specializes in Sports and work related injuries. Adrian Chiropractic, PC was opened in May 1995, and continues to grow. Adrian Chiropractic, PC is a multipurpose clinic, which focuses on family practice and sports injuries. Each year Adrian Chiropractic provides sports physicals for various school districts. Drs. Ian and Janet Adrian have been licensed Doctors of Chiropractic since 1994. After completing the successful opening of her first clinic in the fall of 1994, she returned to her hometown of Mesquite, Texas. Dr. Janet Adrian takes great pride in helping patients of all ages. She enjoys working with children and expectant mothers: relating to these patients through her own experiences.